Peggy Jean Miles, 74, of Waco, passed away Thursday, September 27, 2018. Funeral services will be 10:00 a.m., Monday, October 1, at Pecan Grove Funeral Home, 3124 Robinson Drive, Waco, with Pastor Donald Scott officiating. Burial will follow at Waco Memorial Park. The family will receive visitors 2 – 4:00 p.m., Sunday, Sept. 30, at the funeral home. Peggy was born February 2, 1944, in Waco, TX, to James and Beatrice Bennett Miles. She owned and operated Peggy’s Day Care in Waco for many years. She was a master seamstress and an avid gardener. Peggy loved her family unconditionally. She loved people and never met a stranger; she was strong in her Christian faith and was a true prayer warrior. Peggy was preceded in death by her parents, James and Beatrice Miles; brother, Kenneth Miles; and sister, Lola England. 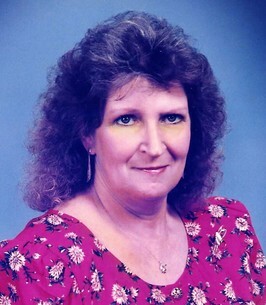 Peggy is survived by her children, Jerrell Martin, Sherrilyn Perry and husband Steven, Robert Black and wife Joyce, Steven R. Black and wife Cheryl, and Makayla Chavez and husband Mathew; sisters, Patricia Maxfield and husband Terry, Judy Miles; brother, Michael Miles and wife Debbie; 13 grandchildren; 15 great-grandchildren; along with many other family and friends. Mom, (MeMe) thank you for your prayers, big and small. You’ll be missed but we are so happy that you no longer suffer or hurt and that you get to live out eternity with the greatest reward. Until we meet in the air, you’ll be truly missed. We love you!